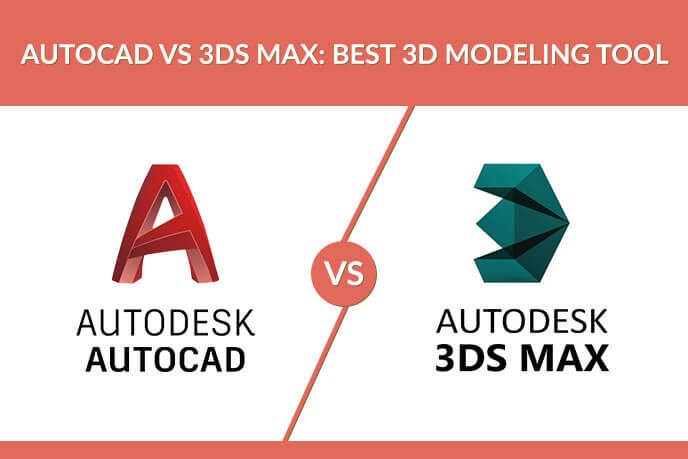 PRODUCT DESIGN 3D MODELLING SOFTWARE: WHAT’S THE DIFFERENCE BETWEEN AUTOCAD 3D AND 3D MAX? Product design 3D modelling tools are quite varied in cost, quality and functionality. However, among them two programs stand out: AutoCAD 3D and 3D Max. Both produced by Autodesk, they dominate the industry and are used at about the same rate, sometimes simultaneously. Specialists have mixed opinions on the subject, so this time we’ve decided to analyze both software products and determine which one is objectively the best. “Ok, but what does that software do exactly?”, one might ask. 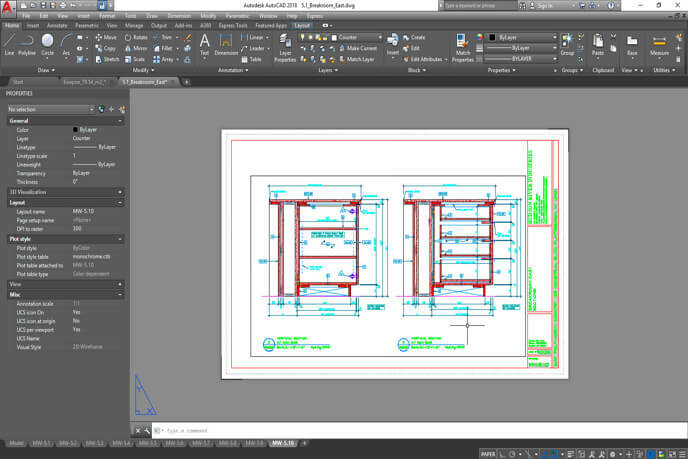 AutoCAD 3D and 3D Max are CAD programs, short for “Computer-Aided Design”. This type of 3D creation tools focus on creating three-dimensional objects based on two-dimensional drawings. Other methods of creating 3D models can be described as more “manual”. Polygon modelling involves placing flat “tiles” on a “skeleton”, and 3D sculpting essentially means carving an object from a basic shape like a sphere or a cube. 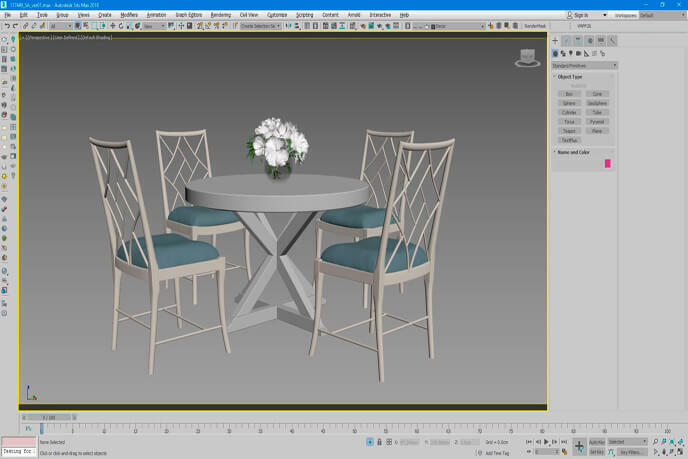 These solutions are great for complex tasks, but when you need something relatively simple, like a chair or a table, CAD product design 3D modelling is the perfect tool for the job. Before we start the comparison, let’s define the terminology. People tend to confuse CGI terms and think that 3D rendering, 3D visualization and 3D modelling are synonyms. That is entirely false. 3D visualization refers to the whole process of creating a three-dimensional object and turning it into an image, as well as a finished picture. 3D modelling is the first part of every CG creation project, which involves creating three-dimensional geometric objects based on blueprints and photos. 3D rendering is the final stage of creation process, transforming a three-dimensional scene into a two-dimensional image with product design 3D modelling software. As for the stages of 3D modelling process, it usually starts with – what else? – creating a 3D model through any of the means described previously. After that specialists set a scene: a white background or a specific place that fits the product. Then light sources are set up, because it’s easier to add lighting during the early stage of the process and make minor adjustments later. Next step is moving the 3D model to the scene and adding decor or other contextual design elements, if needed. Then the object and the scene are textured and colored. Now all that is left is to do some post production and editing, and it’s done. Now, let’s examine our two contenders: AutoCAD 3D and 3D Max. AutoCAD 3D is famous as a jack-of-all-trades of product design 3D modelling. It can be used for relatively simple tasks like 2D drafting and image editing to full-fledged CG creation. All kinds of businesses can use it, including those that don’t necessarily depend on CGI. Its main uses are: product design, architectural design and manufacturing planning. AutoCAD 3D has solid 3D modelling functionality, including working with solid objects, surfaces and meshes. It’s capable of photorealistic 3D rendering and working with multiple file formats, including PDF, DFG and DNG. On top of that, this product design 3D modelling software has a plethora of other useful features that make work easier. The tool palette includes: importing model data from online sources and mobile devices, object selection and isolation, reference models and multiple backup and revision functions. And we’ve saved best for last – AutoCAD 3D allows multiple users to collaborate on a single project. AutoCAD 3D stands out due to being available not just on PC or Mac, but also on Android-based devices, iPhones and iPads. It is largely a stand-alone program, lacking integration with other 3D modelling tools: a huge difference compared to other Autodesk products that are designed to work in conjunction with one another. 3D Max is specialized product design 3D modelling software, used by game makers, product companies and architects alike. Its main purpose is creating full-fledged scenes, high-polygon 3D models, 3D animation and special effects. As a highly specialized piece of product design 3D modelling software, 3D Max lacks in versatility, but compensates it with the sheer amount of things its users can do with 3D models. It can create not just solids, but liquids as well, has an animation plug-in, effect adder and editor and can even emulate hair or fur movement. 3D Max supports a highly customizable scene converter and has access to vast online asset storage with constant user input. Textures can be not just imported, but also created from scratch, simulating all kinds of materials: from rough stone to realistic skin. Since 3D modelling is a rather complicated process, 3D Max developers have made working with it as comfortable as possible by implementing customizable interface and integrated pipeline tools. Unlike its direct competitor, 3D Max is available on PC and Mac only. However, there is also a web-based version available, still accessible just by computers. It can be used alongside other Autodesk product design 3D modelling software: Sketchup, Revit, Inventor, Fusion 360. Since it is tailored for game creation, 3D Max is also compatible with both Unity and Unreal engines. So, which product design 3D modelling tool is better: AutoCAD 3D or 3D Max? It depends on your goals. If you want a versatile CAD program to work with 3D models even when you’re commuting to work, then AutoCAD 3D is for you. However, if you’re a 3D modelling specialist who wants the best 3D modelling software with monstrous functionality, 3D Max is the winner here. Now, if you don’t have time to learn how to create CGI or just want to leave it to professionals, you’re at the right place. See your ideas visualized by 3D modelling specialists using best tools available with our 3D modelling services!